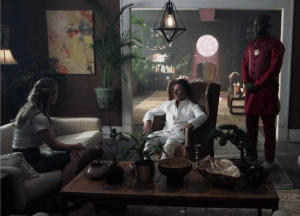 After such a definitive ending to last week’s episode Ahimsa, this week on Supergirl felt very much like the start of a new chapter. We join Kara and “her people” on her newly renovated roof terrace for some afternoon Mojito and scones. Brainy who is slowly winning me over as the show‘s comic relief after Winn’s departure, had the funniest moment of the episode as he gets drunk on what he believed was vegetable juice. The villain of the week was Parasite, Agent Jenson is infected with a parasite stolen from the DEO last week and he has the ability to absorb aliens‘ powers and killing them in the process. This is all part of Agent Liberty’s plan to make Jenson an invincible human while eradicating alien life on Earth. Agent Liberty is so anti-alien and is taking his hate to the most extreme levels but has no problem with using an alien parasite to deliver this plan? Seems like a very mixed message to me. A new character has joined the show in the form of Colonel Haley (portrayed by April Parker Jones) who has been sent by the President to babysit Alex at the DEO. We get to see both good and bad cop throughout the episode with Col. Haley starting out as an allay to Alex by supporting her decisions but we end seeing the bad side as she stamps her authority telling Alex to follow orders or she will be gone. Col. Haley’s on-screen presence is very reminiscent to Viola Davis performance of Amanda Waller in Suicide Squad strong, commanding and someone you certainly don’t want to mess with. It looks like she is here to stay for now so we will have to see how this story develops and if it puts Alex’s role as director in jeopardy. Amadei Derros (portrayed by Adam Levy) is another new character we meet this week who is an alien with the power to heal other aliens. 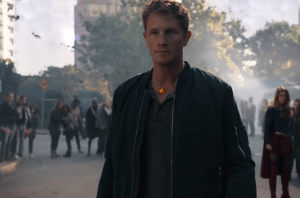 Amadei has a stone in his chest which provides the power of healing, but this gets stolen by the children of liberty to give to Agent Jenson so his parasite can survive. The climax of the show sees the stone returned to Amadei and normality is restored once again. My only fear with the introduction of this character is that he will become the new saviour to Supergirl whenever she is injured in the future. Remember when the Lazarus pit was introduced to Arrow? It allowed the show to kill whoever they wanted and then bring them back to life. This is fine and within continuity with the comics but it makes you ask why they don’t use it every time someone dies. Will this now happen in Supergirl, every time an alien gets hurt why not just go to Amadei? We finally get the return of Guardian this week as Ben Lockwood convinced James Olsen that Guardian should be the positive human role model to those who are in fear of Aliens. James and Ben first converse at council dinner in honour of James Olsen and James is adamant Guardian has nothing in common with the hateful messages Ben is broadcasting on his website. 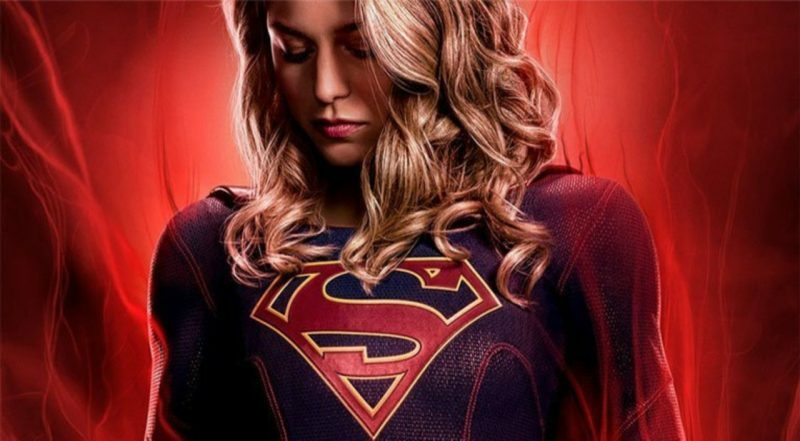 When the final showdown between Parasite and Supergirl erupts James dons the Guardian costume and join the fight. The last we see of James he calls Ben Lockwood and agrees to meet with him and talk. Is this the start of a dark path for Guardian or is he still trying to be a hero and track down the children of liberty from the inside? J’onn J’onzz has spent the season so far on the edge of the DEO struggling to find the right path to walk. This week gave us the biggest step forward for J’onn J’onzz becoming the Martian Manhunter. I don’t mean the shape shifting, mind reading green alien we have seen, I mean then keen detective he is also known for in the comics. 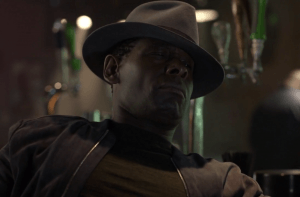 After helping last week track down Fiona and this week in tracking down who stole the stone from Amadei a conversation with the bar tender tells J’onn and the viewers that he is the investigator to go to when people can’t trust the police.